When you want your dinner jacket to reflect what you are made of there is Tazio. Tazio makes stylish dinner jacket and blazers that are Italian design. 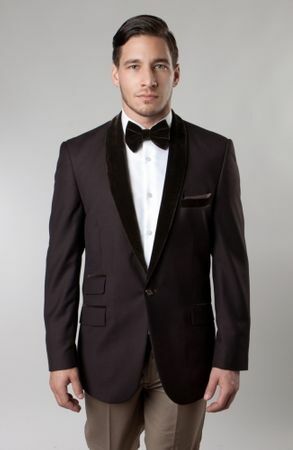 This brown dinner blazer features contrasting velvet shawl collar designed in Italy. Modern style Fit.